This morning Sony issued a picture emblazoned with the phrase "when worlds collide." What does this mean? Nobody's quite sure. Sony's next gaming console, the PlayStation 4, debuts in just a few short months, so it's unsurprising to see the developer suddenly start firing off mysterious images heralding the console's upcoming franchises. Images like the one you see at right. That picture debuted this morning on both the official PlayStation Twitter account and on the firm's Facebook page. It comes with no explanation beyond what you see there (which appears to be a few lines of text, and a deep-space shot of a star's light cresting over the side of another, more opaque celestial body). That's about as clinical a description as we're capable of, since there's just not all that much info to go on here. 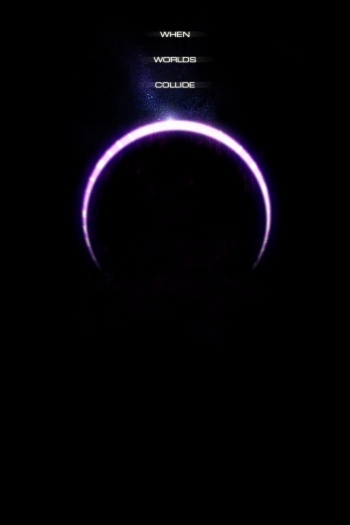 Gamespot points out that When Worlds Collide is both the title of a 1933 science fiction novel, and a tag line used by the 2009 Christmas issue of Edge magazine to describe CCP's DUST 514. Either of these ideas could potentially explain the image, but they seem like desperate stretches of the imagination. When Worlds Collide was also a hit single from Powerman 5000 circa the turn of the century, yet I'm almost certain that Sony isn't mining my early teen years for promotional ideas. As per usual, when we're drawing a complete blank, we turn to you. Have a look at that image up there, then take to the comments below to drop your best ideas of what it might be. Discuss it amongst yourselves if you'd like. If we fire off enough vaguely plausible ideas, at least one of them has to be partially accurate, right? Here at the Escapist, we call this scheme "The Reverse Family Feud."